Our team of Ambassadors is pleased to invite you to our official event at Estación Condell! 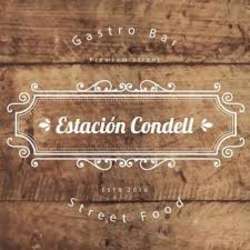 Located in the historical route of Santiago, Estación Condell is a cozy and warm place with a street food bar concept, perfect to enjoy the delicious food and drinks that the place provides. In this official event, every attendee will be welcomed with a drink that includes either gin, pisco, beer, sparkling wine, wine and soft drink. We will also have our own exclusive event, where we can share and dance. Albatross members who sign up join for only $1.000 CLP, Basic Members will pay an entrance fee of $7.000 CLP, while those not on the guest list will be charged $8.000 (including Albatross and Basic members not on the list). So be sure to sign up! You can add your name to the event’s guest list by clicking the Accept Invitation Button. Feel free to bring your international friends and co-workers and invite them to register on InterNations. The list will be closed at 18:00 on the day of the event and it will be valid until 23:00, so make sure to arrive earlier. Don’t miss the opportunity to share with us in this new incredible venue. Come and live the InterNations experience!